Today our post was inspired by the picture book A World of Bugs (Comparing Bugs: Acorn Read-Aloud) by Charlotte Guillain. 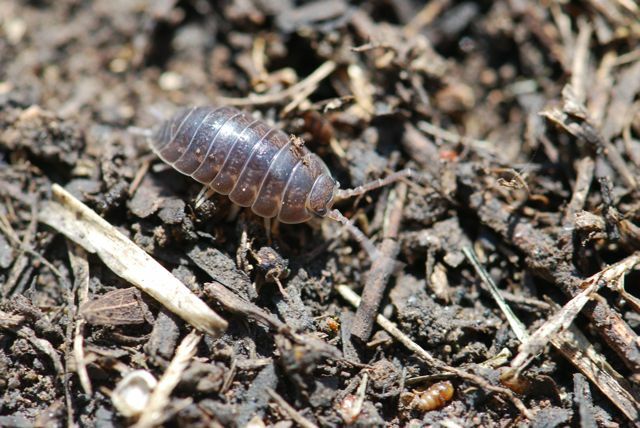 Way back when I started this blog, I purposely chose the title "Bug of the Week" for the long-running Wednesday feature because I knew I would want to include spiders, pill bugs, and other creepy crawlies, as well as insects. 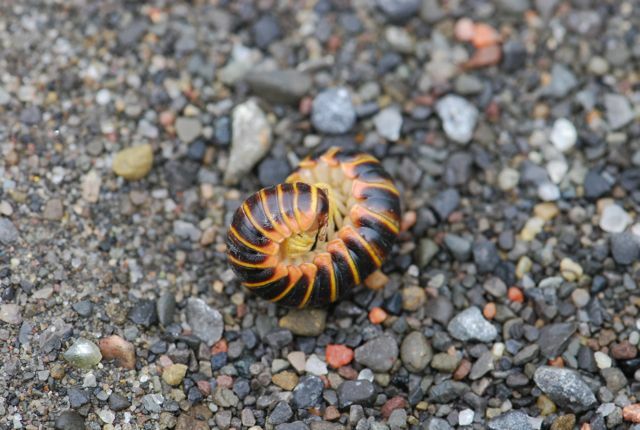 A World of Bugs shows children the range of arthropods and other invertebrates that are often called "bugs." It tells what their features are, how they grow, where they live, and how they move. It is filled with huge, full color photographs that are very attractive. On the last page, the book also has some suggestions for activities to do before and after reading the book. 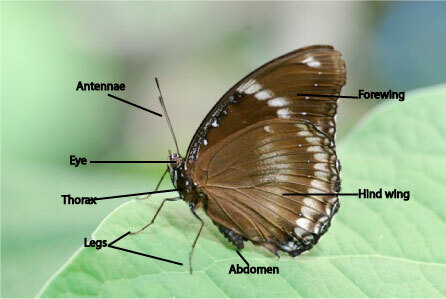 Identification of insects and their relatives requires careful observation of their anatomy. The major arthropod classes can be separated by comparing their number of body regions, legs, and antennae. Spiders have 6 or 8 eyes at the front of the cephalothorax. 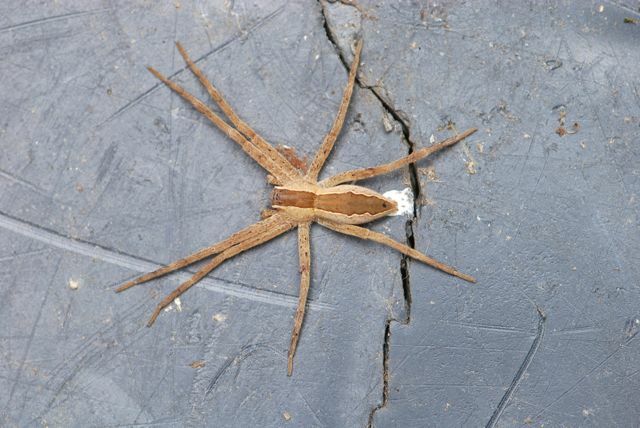 Spiders' mouthparts are called chelicerae and typically end in a fang. Around the mouth are the pedipalps. 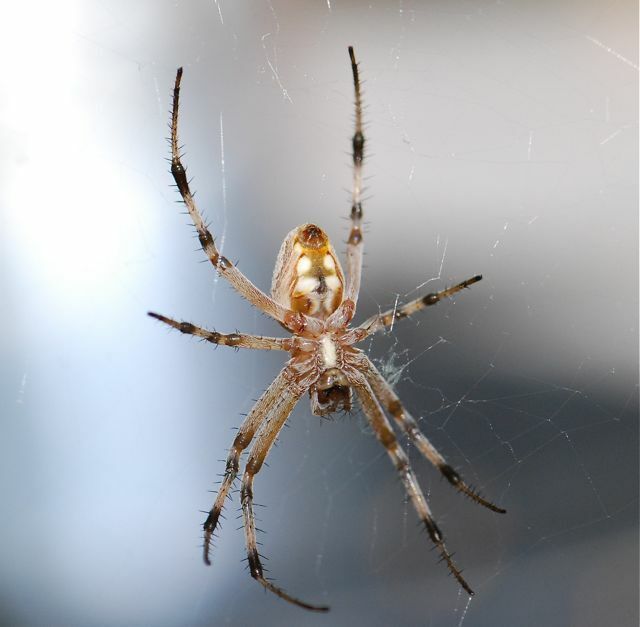 For detailed information about spider anatomy, see Invertebrate Anatomy Online, the Garden Spider. 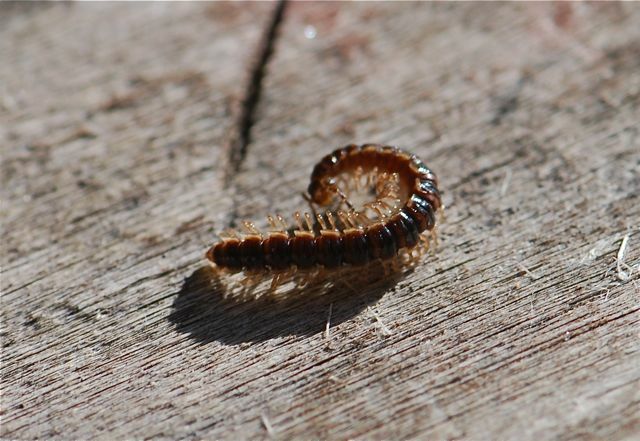 Millipedes have 2 pairs of legs per segment. 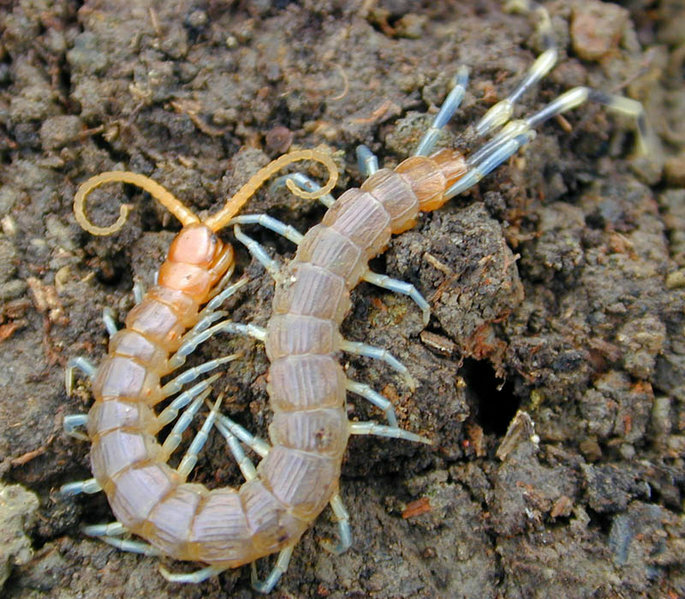 Centipedes have one pair of legs per segment. (Photograph from Wikimedia). Next time we will discuss how to recognize the major groups of insects, the orders.